For a while now, this blog has concentrated on sewing as a specific form of creativity. It’s a challenging one, because it involves converting flat, two-dimension surfaces into three-dimensional objects that can be worn. When first starting out sewing, it’s a good idea to concentrate on smaller projects, of course. But sometimes, we have to take a leap. So I’m going to work through a specific pattern, for a men’s costume, a sort of 18th century pastiche Pirates of the Caribbean coat, matching(-ish) pants, a shirt, and a vest. I don’t know that I’m going to build the whole pattern, actually. But I’m going to try to work through the whole pattern, and all of its instructions. Well, sewing is complicated. It’s a skill that takes a good amount of time to learn to do reasonably well. It takes a good deal of time to master its vagaries. It presents a range of challenges that are different from those of most materials — after all, when you cut wood or metal or plastic, it does have a tendency to retain that particular shape, for better or worse. Fabric doesn’t. But more than that — this set consists of a jacket, a vest, a pair of pants, and a shirt. That’s a complicated amount of design work — and a lot of steps. It’s at least four types of fabric, too — something stiffer, heavier, that can bear being sat upon, for the pants. Something lighter and more breathable for the shirt. Something thought-provoking or unusual or brocaded for the vest. Something a little heavier for the coat. Layers, in other words. But first things first: Cut out the pattern pieces. This took me most of the morning. One particular issue to be aware of. Some pattern pieces are cut “On the Fold.” These are marked by a long line with arrows at either end. The fabric is folded so that half of the fabric is on either side; the pattern piece is pinned to the fabric so that the fold and the arrows line up, and only cut after you confirm that there’s enough fabric for a fabric piece that’s twice as wide as the pattern piece. The fold helps create the necessary symmetry in the garment. It is useful, as a reminder, to leave some extra tissue paper on the side of pattern pieces with the fold marking. This is what I mean when I say that sewing teaches 2d to 3d thinking quite well. Student make this mistake: they cut half the piece they need, because they don’t know that the “fold markers” matter. 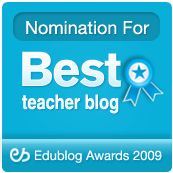 This has to be explicitly taught — and a student may still forget until he has to do it; or until she can’t make the garment that she wants. Later on we’ll talk about conservation of fabric, but that’s a lesson for another time. 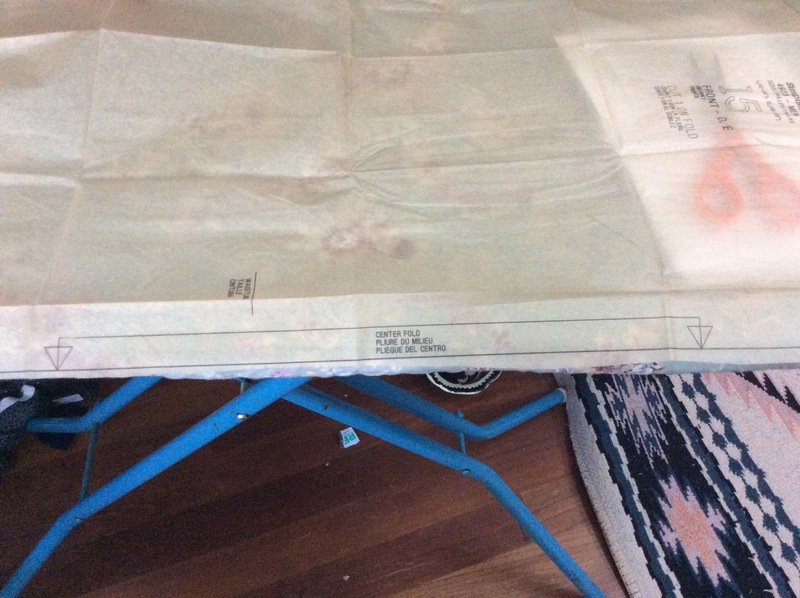 When you buy a pattern for a garment or any sewing project, chances are that it arrives in several sheets of tissue paper, each of which can contain two to eleven pieces of the overall pattern. These have to be cut up into their individual pieces. Garments for small individuals use the S pattern; garments for big fellows like me use the XL pattern. 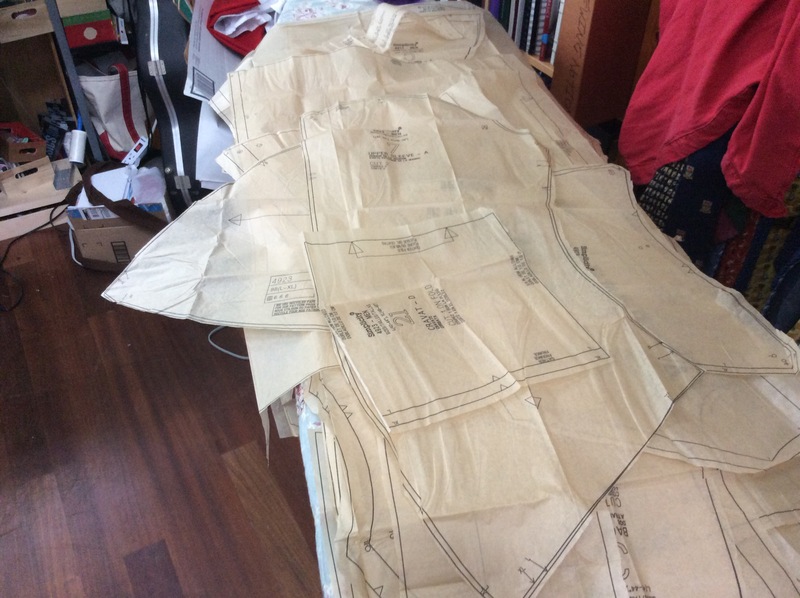 When cutting out pattern pieces, it’s important to save all the possible pattern lines. Just because you’re a size M doesn’t mean that you should cut out the M line, and lose some of the S and all of the L and XL size. You might want to make the garment again in a different size for someone else, and then you’d have to guess. Then read the instructions. All the instructions. Based on this, you’re going to choose which piece of the pattern you’re ready to try making first. Based on my reading, I’m going to try to make the pants — breeches, really — because all the other projects look a little intimidating. This means that when you go to assemble the pattern, you’ll be able to draw out the parts easily that go with your specific project: you don’t have to hunt and dig and unfold all 27 parts to the pattern to find the three pieces you want. Then you’re going to put away all the pattern pieces for the sub-projects you’re NOT doing right now. Don’t cut out the parts for a vest, a coat, a pair of pants, and a shirt, and then leave them sitting around. Do them one at a time, to be the sort of amateur tailor most likely to succeed. Once you know which pieces you need, you’re going to turn your iron on very low, and without using water or steam, you’re going to iron all of the wrinkles and folds out of the pattern pieces you have. The results are better when you do that.